Thanksgiving is right around the corner; seriously it is just a few days away! It's crazy how time flies. This is just a reminder why we should really appreciate every moment we are able to spend with those around us, so instead of falling for all of the hype that is surrounded by Black Friday, rushing through dinner to stand in line for a ridiculous long time, I have a better idea. Stay home this “Black Friday” enjoy your family, make memories, after all the real event is on Saturday, November 26th anyways. Because It is “Small Business Saturday”! It is easy for this day to get overshadowed by Black Friday and Cyber Monday and the constant promotion for the bigger businesses, but Small Business Saturday is special in its own way. When we support and shop from small businesses, we aren’t just supporting the individual, we are also supporting their families, their goals, and their dreams. More often than not, the products are handmade, with carefully picked materials in order to provide a quality product. Personally, I appreciate this so much. Which is why in honor of “Small Business Saturday” I would like to share with y’all some of my favorite businesses to shop from! These are businesses that I trust and have always delivered quality items. Before Christmas catches up to us, let me share these 4 wonderful businesses. First, we have Kenzie and her business Travelin’ Trinkets. I came across Travelin’ Trinkets through a mutual friend that shared a Texas Decal done for her. I have had Kenzie do two different decals for me, one for my car and another for my BINO Tumbler. Both times, I presented Kenzie with my ideas, and she provided me with suggestions as far as size, font styles, and colors. I’ve loved the result of both decals. Her business is social media based, meaning that all of her business is generally done through her Facebook page or her Instagram account. I would like to point out that she does more than just decals; she also has wood signs, glass etching, and other custom items. If you mention “Smiley Shares” Travelin’ Trinkets has offered BOGO on decals and 5% on Woodwork (not including shipping). Take some time to look around on her Facebook and Instagram pages, or contact her for custom work, for you or a loved one for this upcoming Christmas. I love that Kenzie sends detailed instructions on how to put the decal on items. Otherwise I'm sure I would have messed something up. Daniela from Cinco Wildflowers is also someone I came across through a mutual friend. 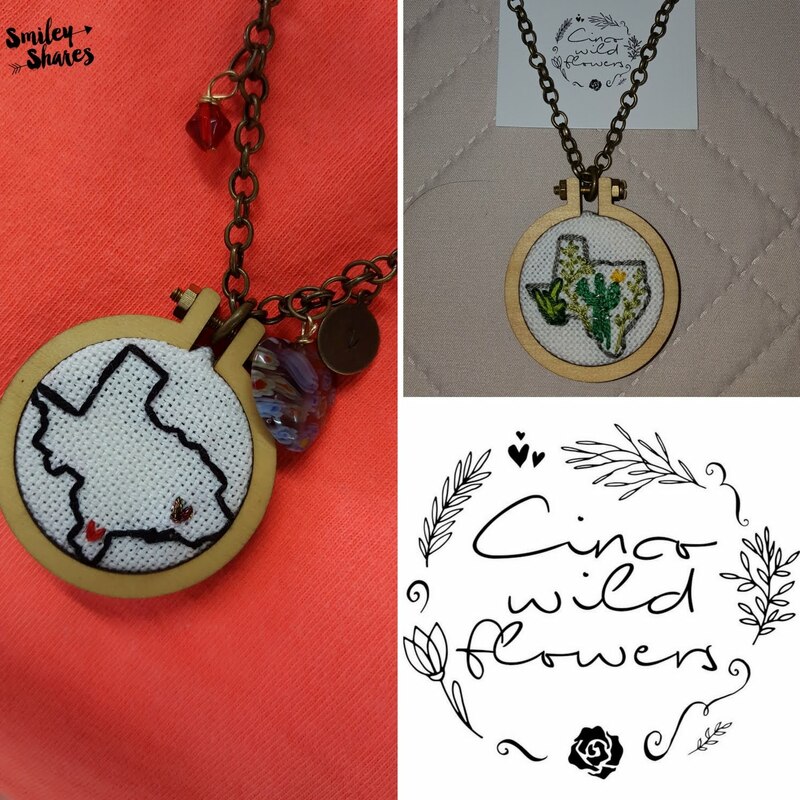 My friend shared this wonderfully detailed necklace of Texas with very beautiful wildflowers. It didn’t take long for me to reach out to Daniela and make my first purchase, I bought an already made necklace. But after my first purchase, I decided to have her create a custom piece for me. I am not very big on jewelry, but what I do wear usually has a special meaning behind it, and I wanted this piece to be personal. Daniela was great, I gave her some ideas of what I wanted and she went with it, once we agreed on the design she would send me photos of how it was coming along and if there were things I would change, she was very receptive to my suggestions. I have received many compliments on my “Texas is Home” necklace. Cinco Wildflowers also has earrings and rings. You can get a whole custom made set for someone, and they will be sure to love it. 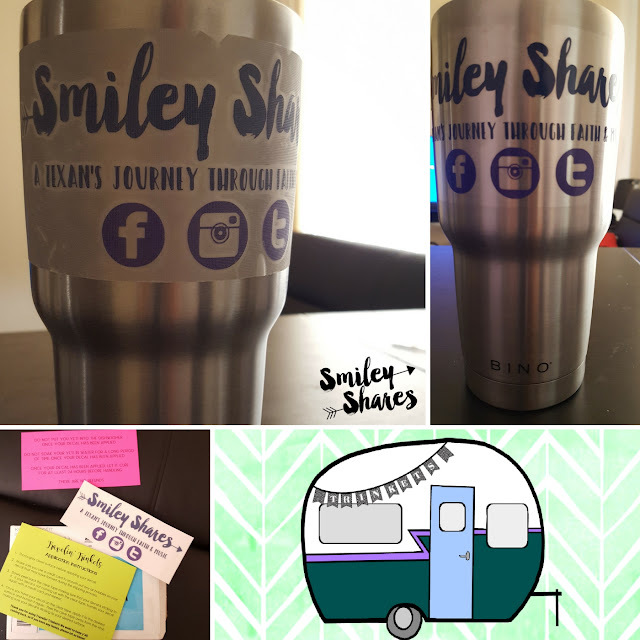 If you use/mention coupon code “Smiley5” when ordering from her on her Facebook, Instagram or Etsy shop, you will receive a 10% discount on your order. showing both Houston (sparkling thread) and the Valley (red). 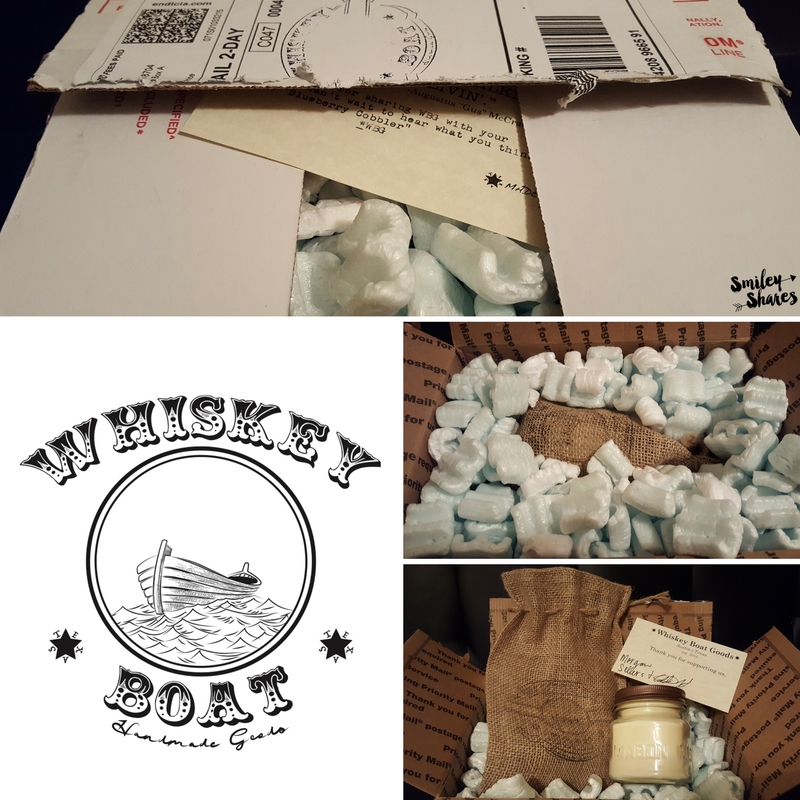 Whiskey Boat Goods is actually owned by fellow blogger Morgan S. I have been following her on social media for over a year now, since we are both music bloggers, and she recently moved down to Texas! Then I saw that she was starting her business alongside her boyfriend, and all the positive feedback that they had been receiving. Which is why when I decided to do this post I knew I had to share “Whiskey Boat Goods” with y’all. Morgan and Eddie were gracious enough to send me one of their more popular candles, Blueberry Cobbler, and let me tell you it smells divine and I am not even a fan of blueberry!…at least not baked (prefer fresh), but I loved the sweet subtle smell of the blueberries, without this overwhelming bakery smell. Not sure I am explaining this in the best way possible, but personally I love my candles to smell good without this overpowering smell that gives a headache. And although the smell was subtle, I was able to smell the blueberries as soon as I opened the package (unless my mind was playing games with me). If you wanted to send this to somebody out of town or state, the packaging is already good to go! These natural wick made candles are made in adorable mason jars, labeled with the batch number and name of candle, as a reminder that these were handmade with love and care, then they are placed inside a burlap bag with the logo stamped on it. Isn't this the cutest packaging? I love everything in mason jars, because they can be utilized again! Last but certainly not least, is Mrs. Morgan Fields from Sweet Texas Treasures. I came across this business through a blog post a little over a year ago. I was able to order my sister her Christmas gift last year from STT. Mrs. Morgan now has her own storefront in Houston, Texas, where she has different clothing options, decor, accessories and other items. 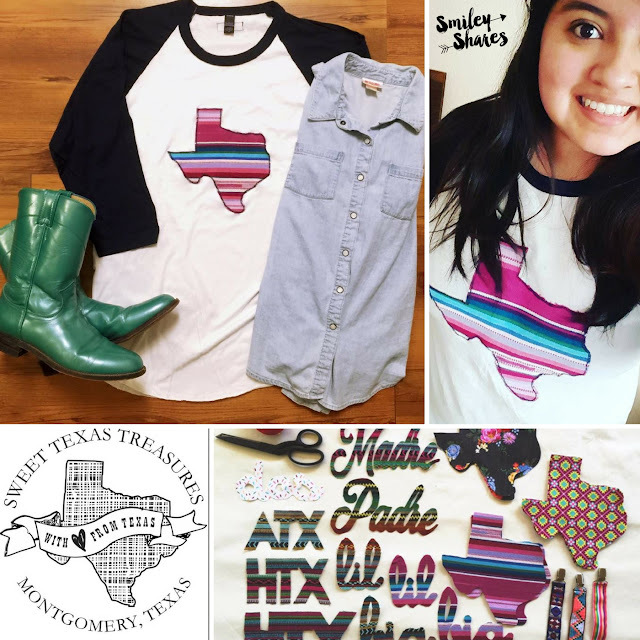 I have purchased her custom made Texas Tees which are amazing. When I made my custom order from her, she went over the patterns (huge selection of Fiesta inspired) she had available, in addition to the shirt colors. The process was quick and my order was shipped to me within a few days. She had perfect communication and kept me in the loop at all times. I am looking forward to being able to purchase more items from her. After all, she not only has Texas tees, but also has football team logos, birthday “Number” tees, cactus, and I am sure she can work on another requested design. If you use the code “sweetlove” on her Etsy page, you will receive a 10% discount! I didn't have many pictures of my Texas Tee shirt, except for that Selfie...lol. The others are borrowed from Sweet Texas Treasures Boutique Facebook page. Well there you go, 4 Small Businesses that put all their care and hard work into each homemade item they create for you! So relax, and enjoy your time with those around you, create memories and skip the long lines and craziness of Black Friday, and get ready to support these amazing businesses this Saturday. 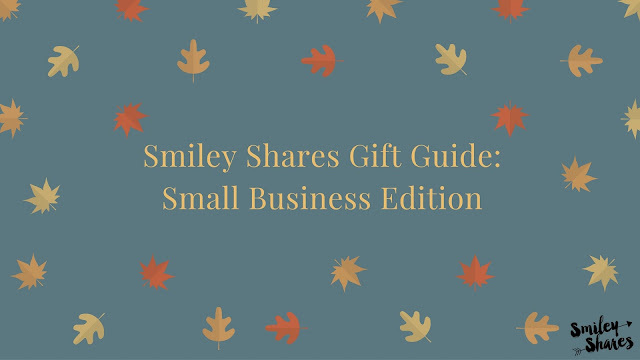 Take a look at their social media accounts, Etsy pages, and websites, and get those Christmas gifts ready!